Bamboo Dinnerware - Eco Friendly and Cute to Boot! We don’t inherit the earth from our parents, we are borrowing it from our children. Love Mae loves the planet and that’s why we’ve changed our dinnerware from melamine to bamboo. It’s a far more eco friendly option that is just as durable. High quality, non-toxic and biodegradable, our bamboo plates, bowls and tumblers can be hurled from high chairs and put through the dishwasher time after time. 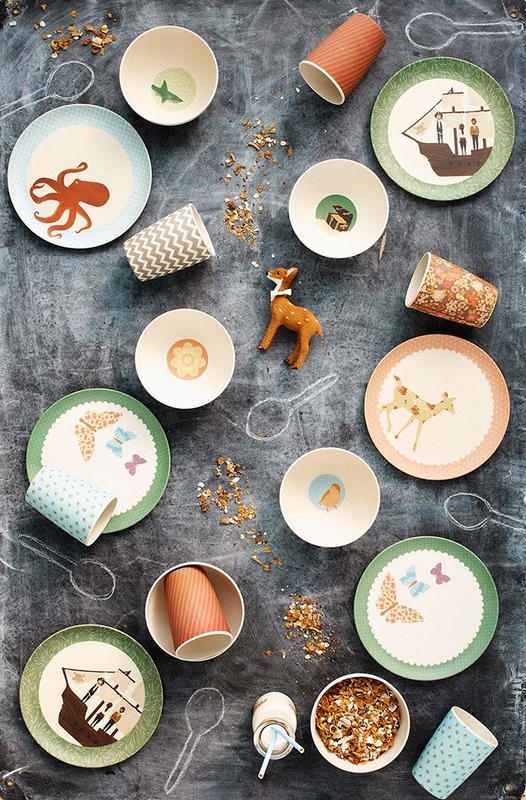 The four different designs are equally cute, and maybe, just maybe, a pretty plate will entice your little person to eat up everything on it! A three-piece dinner set or a set of four tumblers is priced at $29.95. Bargain! Shop here or find your nearest stockist here.